Before joining UWM Shana was a Senior Lecturer with the Department of Informatics at the University of Pretoria. She also worked as practitioner in industry as an IT consultant with Andersen and KPMG Consulting advising various organizations located in Africa on management information systems and for a major financial institution. Her research focuses on empowerment of people to enble them to make informed decisions to develop themselves, their organizations, their communities and society as a whole. Specific research interests include information seeking behavior and use, access to and accessibility of information and adoption of ICT infrastructure, ethical considerations relating to access, particularly as it pertains to developing contexts. 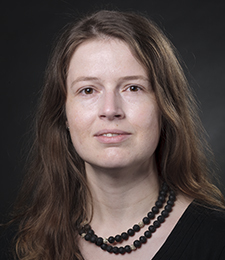 Her work has been published in Aslib Proceedings, Information Development, Journal of Information Ethics, South African Journal of Information Management and The International Information & Library Review, amongst others. She is a member of the Association for Computing Machinery (ACM) and the Association for Information Systems (AIS) and the Africa Network for Information Ethics and on the editorial board of the International Journal of Business Intelligence Research. She holds a PhD in Information Technology from the University of Pretoria, South Africa. Ponelis, SR. (2012). Analysis of Small Business’ Information Needs And Information Seeking Behavior, 52nd Annual International Association for Computer Information Systems International Conference (IACIS 2012), Myrtle Beach, South Carolina, USA, October 3-6, 2012. Ponelis, S.R. and Britz, J.J. (2012). A descriptive framework of business intelligence derived from definitions by academics, practitioners and vendors, Mousaion, 30(1). Britz, J. and Ponelis, S. (2012). Social justice and the international flow of knowledge with specific reference to African scholars. Aslib Proceedings, 64(5):462-477. Ponelis, S.R. and Britz, J.J. (2012). The Elephant in the Server Room: Confronting the Need for an Ethics Officer in the IT Function. Journal of Information Ethics, 21(1):27-39. Ponelis, S. R. (2009). Using data warehousing to deliver integrated management information: Case studies of customer data integration using sales and marketing data marts. Köln, Germany: LAP Lambert Academic Publishing.